Intex is an Indian brand which started from manufacturing computer peripherals. It usually offers quite low budget smartphones With almost all the alluring features this phone comes within a nominal budget. 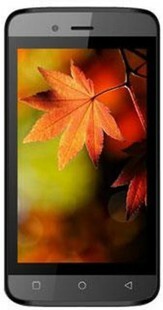 The Intex Aqua R4 plus price in India is max up to 2989 INR. This phone offers some out of the box features like a decent camera, awestruck display and a huge storage space on the go. It comes with a dual 2 MP rear and 0.3 MP front camera, 4 inches of display and storage up to 32 GB. If you analyse it very keenly, you will find out that the battery offered by the phone is not of high capacity, it will not last for long hours. With a battery capacity of 1380 mAh, it can give you a talktime of 5 hours. The Intex Aqua R4 plus is powered by a single-core RDA micro as its chipset and it runs on Android v4.2 Jelly Bean platform. The frequency is clocked at 1.0 GHz. The Intex Aqua R4 plus specification includes the network of the type of GSM (900/1800). You will find 3.55 mm jack and alert of type, MP3 and polyphonic ringtones on the phone. Dual mini SIM slots dual standby is offered by the phone. The dimensions of the phone are 4.8x2.5x0.4 inches. The phone weighs 115 grams. The Intex Aqua R4 plus features specify a screen resolution of 480x800 pixels and TFT capacitive touchscreen with the pixel density 233 PPI. The display size of the phone is 4.0 inches. Multi-touch display features are also available with the phone. The phone has 16M colours . The Intex Aqua R4 plus images are very impressive with a dual camera of front 0.3 MP and 2 MP rear camera. It supports video recording feature as well. Other features of the phone are digital zoom and LED flash. The storage given by the phone is 512MB of internal storage and a 256MB RAM. It also has a microSD card slot which is expandable up to 32GB. The Intex Aqua R4 plus battery depends upon 1380 mAh of capacity which means talk time of 5h in 2G and a standby of 180h. It contains a removable Li-Ion type of battery. Before grabbing one give a look to the common features of the phone as well. It has Bluetooth (v2.1), USB ,WiFi (802.11 b/g), GPS and 2G connectivity. It also has certain sensors like accelerometer sensors. All the specs mentioned above will completely convince you to go for the phone. It is available in black, white and grey colour. Intex Aqua R4 Plus full specs and reviews as of Apr 2019. Buy it here!